“No Labels is calling for America’s leaders to support a new governing process to build a National Strategic Agenda centered on four goals.” Tom Reed supports it. So what are these goals? Make America energy secure by 2024. No labels asserts that these goals unify us, but I have doubts. Create jobs, yes, but Tom Reed believes “government can’t create real jobs.” Tom supports the House 2016 austerity budget that is certain to cost many jobs. 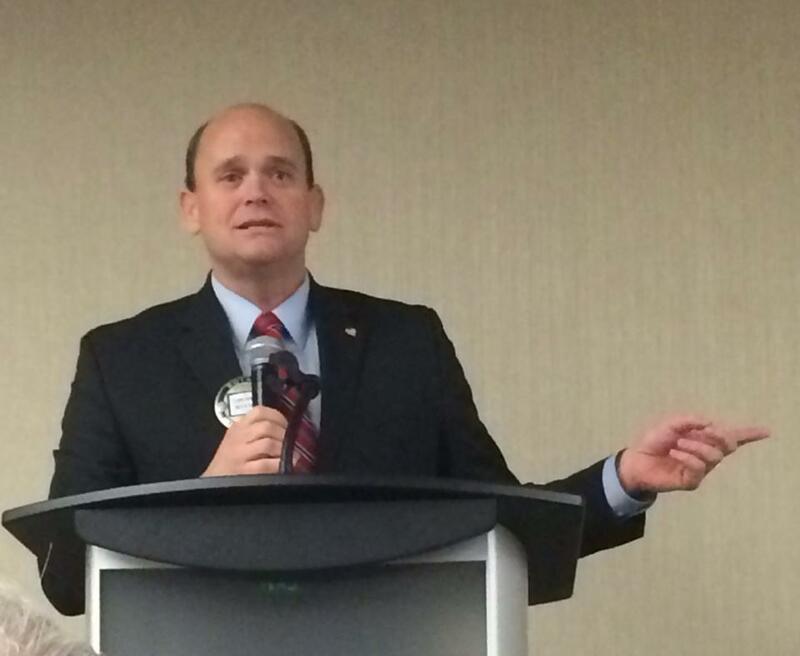 Tom Reed’s support for job creation is partisan talk. Balance the budget, a dubious goal, but more importantly how? Tom would do it by ruthlessly cutting government spending. There is nothing unifying about that. Secure Medicare and Social Security, yes, but not by cutting benefits and certainly not by turning Medicare into a voucher system as the GOP budget and Tom advocate. Make American energy secure, yes. Tom talks a balanced approach, but blatantly favors burning things. No Labels adherents are once again showering Tom with ill-deserved praise, which rings hollow in NY-23 where many of Tom’s constituents know Tom better. * Contributor at NewNY23rd.com where we discuss the politics, economics, and events of the New New York 23rd Congressional District (Allegany, Cattaraugus, Chautauqua, Chemung, (Eastern) Ontario, Schuyler, Seneca, Steuben,Tioga, Tompkins, and Yates Counties) Please visit and comment on whatever strikes your fancy. This entry was posted in 2016, Congress, Economics, Education, Environmental, Farm Bill, fracking, Health Care, Political, Reed's Views, Seniors, Sequester/Fiscal Cliff and tagged balanced budget, energy, Jobs, Medicare, National Strategic Agenda, No Labels, Social Security. Bookmark the permalink. Judging from the warm glow of approbation in the numerous comments left on Reed’s page (left by people who aren’t from the area, who are posting from a script, and who undoubtedly know nothing about him) I’d have to say the #1 immediate agenda for No Labels is to generate the appearance of support for otherwise unpopular congresscritters. Anne, I agree–it appears that the sole criterion for No Labels support is membership. Many seem willing to offer effusive praise with no factual basis. No Labels has been a pet peeve of mine since I first started reading about it. The endorsement of Tom Reed is an obvious example of how No Labels really has no standards to tout. Sadly, some high profile Democrats also bought into the spiel, giving the No Labels “movement” credibility as bipartisan. “No Labels” is risk-free. The group’s mission statement is filled with the bland pablum of political campaigns. It’s the kind of stuff that’s so obvious, no one would ever disagree. unfortunately bought into the spiel, giving the “movement” credibility. And so, there is No Labels, giving itself a pat on the back for rhetoric with no results. Tom Reed fits right in. do you want to know where this country is headed ? Take a good look at what is going on in the Middle East, that is what the future is going to look like here, in the good old USA. Right now it’s just a battle of words between many special intrest groups, but in time they will be at WAR with each other. I disagree, Bob. I don’t see much in common between the USA and any Middle Eastern state. I think your comment does raise an interesting question–what would the consequences be if our political discourse were dominated by serious religious differences? YOU’RE BLIND! Take a closer look at who is behind most of the problems in this country, you will see reverend so and so, this and that, most of the time. Blind or not Bob, I don’t understand your point. Perhaps you could give an example. People today like to claim they are a victim of something or someone. The poor blame the rich, the GLTG people claim they are misunderstood and are discriminated against. same goes for people of color, they claim to be victims too. Then along comes a reverend King, Jackson or Sharpton and the next thing you know there is a whole new set of laws that make the working tax payer the victim. The average honest, working people are out numbered, it’s going to bankrupt the whole country ! What will happen then ? Ah, I see it now–America is a poor country, so if everyone got a fair share, there wouldn’t be enough for average, honest, working people. Ah, I see it now, America is a rich country, it was stolen from the Native Americans and you think all you have to do is get the Democrats to steal a share for you. ” Investigative journalist Chuck Lewis joined Bill recently to discuss his new book, 935 Lies: The Future of Truth and the Decline of America’s Moral Integrity, that looks at the history of government officials and media pundits speaking and repeating (and repeating and repeating) untruths to shape public opinion and policy. ” does this sound a little like you people ? What’s your point, Bob, and what do your comments have to do with No Labels? Do you approve of No Labels or not? ” NO LABELS ” is a label. In a society that worships “one market under God,” we are forced to be somewhat money-centric in order to survive. At what cost? Bob, do you agree with “No Labels National Strategic Agenda?” Why or why not? Also, Reed sure was quick to toss around the “Extreme Ithaca Liberal” label when it suited him. Do we care a whole awful lot?